Well, another 4 weeks have past since I was last here. I’m consistent if nothing else! No great excuse this time I’m afraid: no missing blog posts to rewrite, no spectacular technological meltdown to use as a scapegoat…no, just the trials and tribulations of daily life unravelling its knitting and us going round picking up the stitches. That takes up a surprisingly huge amount of time…..the knitting pins around here are fairly long. Most of our time has been taken up with La Tour de Genèbre. We’ve had a fantastic two weeks of early Summer temperatures so we have made the most of working outside. The hedges have been planted and the grass at the front of the house has been scarified ready for the new seed. 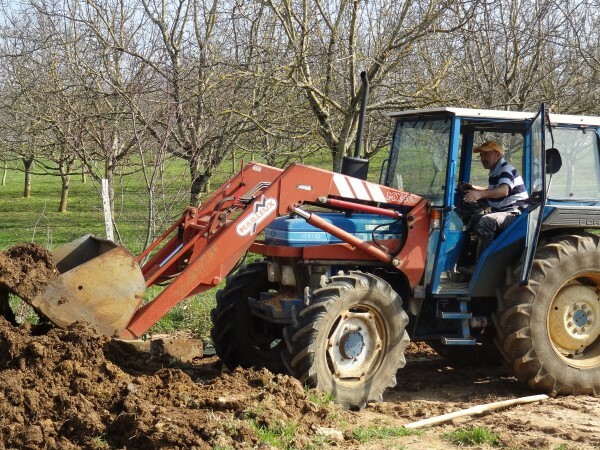 A friendly neighbour was kind enough to lend Amar his tractor so he could move the huge mound of earth before we dig the hole for the swimming pool next week and pointing the walls was almost a pleasure in the warm sunshine. Amar learned a new technique here – filling over sized builder’s piping bags with mortar and piping it straight into the joins. A lot quicker and hardly any waste…and it took him right back to his restaurant life…happy days! And at last, after waiting what feels like forever, I managed to start painting the bedrooms. 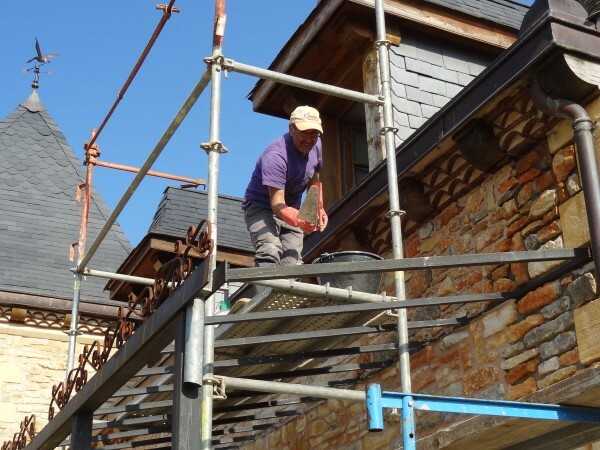 I have also learned a new skill – balancing on 4 metre high scaffolding, painting with one hand while simultaneously clinging on to the beams with the other in a rather monkey-like fashion. I have also learned that if there are no beams to cling on to the legs turn to jelly and vertigo sets in causing all painting activity to slow down to an unproductive rate which is very inconvenient. I do have a photo but the angle is such that it’s probably best not unleashed on the World Wide Web! All the walls and floors are back in place, the wiring for all the lighting has been fitted, the bathroom floors have been concreted and we have also finally chosen a kitchen!!! After much deliberation and procrastination, mainly by me I hasten to add,we finally settled on a simple Shaker style design in ” coquille d’oeuf ” which is literally translated as Eggshell but is really a taupe/mushroomy cream colour. Another few ticks on the To Do list! Meanwhile back at Les Crouquets the usual pre- season activities are underway. Cleaning, tidying, repairing..all the necessary but unexciting stuff which goes on behind the scenes. Better to move on to more stimulating topics of conversation such as naming hens. 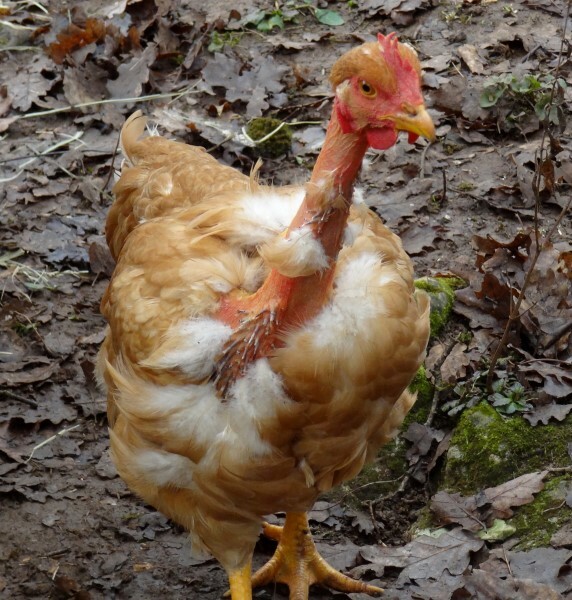 After reading the Bingo Wings post Joanna from Multifarious Meanderings kindly suggested Diesel as a name for this feisty bird – it fitted the theme and very nearly stuck but Emma reckoned that something so aesthetically challenged really deserved a sexier name to help boost its ego. Alistair volunteered that Marilyn Munroe was famous for her naked neck (was she????) 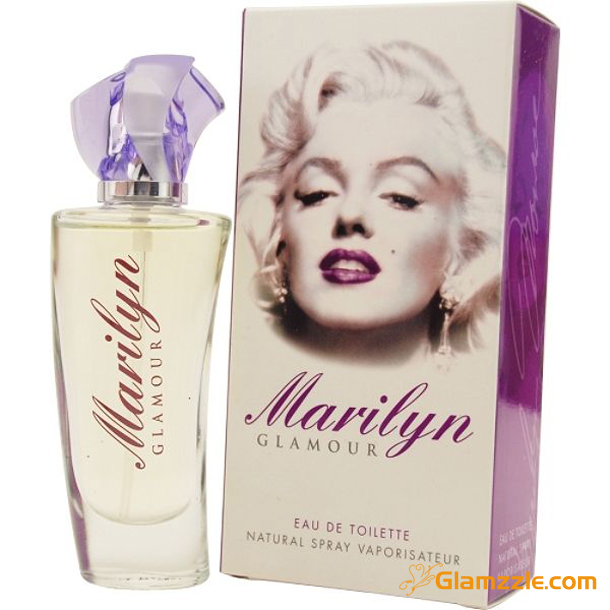 and a quick search confirmed that yes, this would fit the naming scheme, so Marilyn it is! And finally, my next piece of knitting has unravelled so much it warrants a post all of its own which will no doubt follow in due course – here’s just a little taster. Our Facebook friends may remember a post from January when this gorgeous little cat turned up at Les Crouquets thin and hungry – yes, I fed her. Big mistake. Huge mistake of Pretty Woman proportions in fact. Miss Molly is not happy and now this cute wee thing is having kittens – literally. So am I. Go on , I dare you to resist that little face! I need a cat expert – and fast – who can tell me how to get a 7 year old, very territorial cat to accept a younger, pregnant cat while dealing with the prospect of half a dozen kittens, 7 gites, a new house and a husband who looks like he may well have me psychologically tested for even contemplating that we can keep her….yep this may indeed be a few dropped stitches too many…. 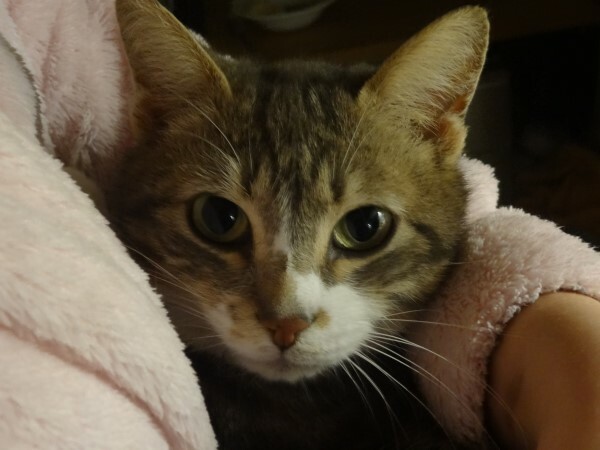 Kittens – not laughed so much for ages Elena ! Priceless can see Amar now !